Smart iPhone 4S Units Arrive! Louie Ang of Smart Shows the Goods! Oh, I just knew this one's coming! 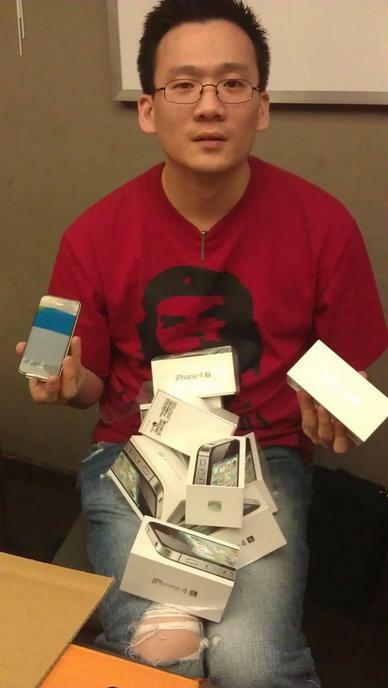 This photo uploaded on Twitter by Mr. Louie Ang just a few minutes ago shows that Smart Communications is likewise more than ready for the Smart iPhone4S launch happening tonight until the break of dawn at Rockwell Powerplant Mall. Mr. Ang is Smart's Senior Marketing Manager. Earlier, Globe Telecom uploaded photos on Facebook showing that their own iPhone 4S shipment has arrived and units have already been packed by 'Globe Santas' for Globe iPhone4S launch also happening this evening. Note that this is perhaps the first time in recent history that Smart and Globe will be launching a similar product at the exact same time. So if you've nothing to do tonight til past 12 midnight, you can choose to party in either Greenbelt or Rockwell for the launch of Globe iPhone4S and Smart iPhone 4S, respectively. Kaskade will perform for Globe while Jermaine Dupri and Lupe Fiasco will be entertaining the Smart crowd. See you, TP Friends!